2018 Highlights at Tavares Group Consulting - Tavares Group Consulting Inc.
1. 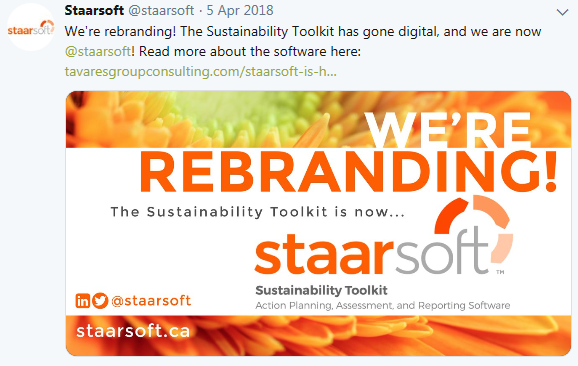 Meet StaarsoftTM, the digital Sustainability Toolkit! 2018 marks the year when the Sustainability Toolkit went digital! Designed to address the lack of practical guidance available to organizations looking to implement sustainability, the Sustainability Toolkit provides organizations of all sizes and in any industry with the guidance needed to plan, implement and manage a comprehensive sustainability program. 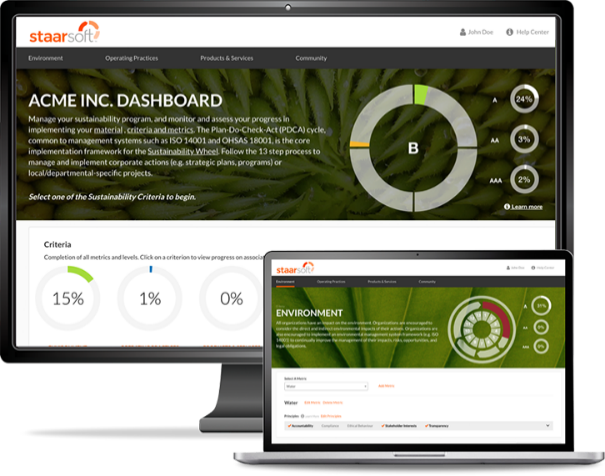 After receiving feedback on the new software, we launched StaarsoftTM, our Sustainability Toolkit gone digital! We launched a new website that highlights StaarsoftTM’s features and benefits, user case studies, and allows visitors to sign up for a demo. In addition, we rebranded all our Toolkit social media channels, and launched a LinkedIn showcase page. Keep up to date by following the LinkedIn StaarsoftTM Showcase Page and joining the Group (formerly the Sustainability Toolkit Group). 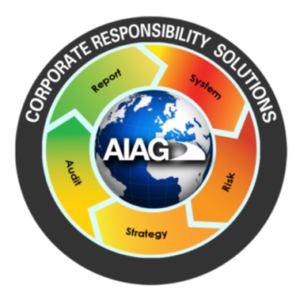 In April, TGC participated in the Automotive Industry Action Group’s (AIAG) 2018 Corporate Responsibility (CR) Summit which was held in Novi, Michigan. Sandra Tavares co-lead a session with The McDonald Consulting Group which examined how environmental and health & safety systems can be integrated into a sustainability program. TGC and its StaarsoftTM software also exhibited with The Luminous Group LLC, our quality systems Partner. TGC is a proud supporter of Gianluca’s Gift, a non-profit organization that supports local youth initiatives in the Regional Municipality of York. 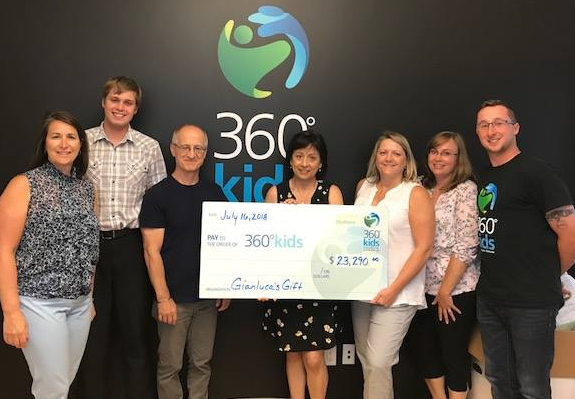 The 2018 Gianluca’s Gift Softball Tournament took place on June 23 and raised $23,000 for the Gianluca Cellucci Northern Adventure Camp at 360° Kids. The foundation also hosts an annual Gift Gala, which raised nearly $19,000 in 2018 for The Character Community Foundation of York Region. 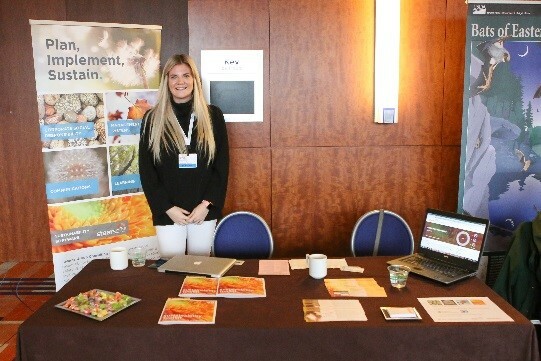 On September 6, TGC attended Global Compact Network Canada’s SDGs Reporting Training event in Toronto, which connected sustainability professionals to industry leaders and experts who shared recent developments on advancing SDGs. 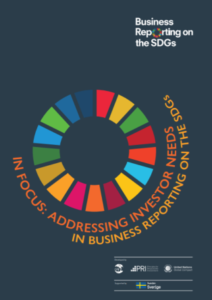 The following day, The Canadian SDG Business Forum was held for business leaders to promote the 17 Sustainable Development Goals in Canada’s private sector. 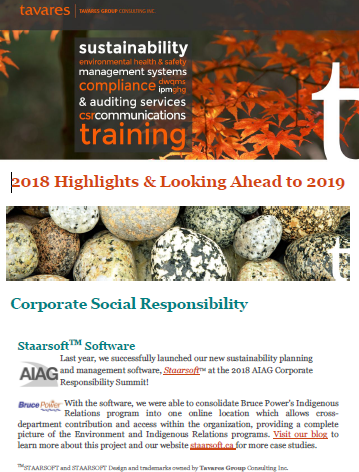 The Sustainability Toolkit v5, the basis for the StaarsoftTM software, incorporated the SDGs into its implementation and reporting approach in November 2018. At the annual Canadian Society of Safety Engineering (CSSE) Professional Development Conference (PDC) held mid-September in Niagara Falls, Ontario, StaarsoftTM held an exhibit and demonstrated the progression from the manual spreadsheet approach of the CSSE Safety Sustainability Project to automated sustainability management and reporting via StaarsoftTM, both founded on the Sustainability Toolkit approach. In October, TGC attended Fashion Takes Action’s (FTA) fifth annual WEAR in Toronto, Ontario, where industry innovators, scientists, activists, and researchers exchange ideas in order to inspire and motivate best practices, solutions, and local and global leadership within the fashion industry in North America. 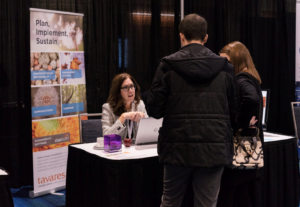 TGC showcased the StaarsoftTM planning, implementation and reporting software and its associated Sustainability Toolkit to demonstrate how retailers and brands and their supply chains can identify and achieve sustainability goals. To get the latest updates and blog posts through 2019, follow TGC on Twitter, LinkedIn, or Facebook. To join our mailing list and receive our 2019 newsletter, click here.